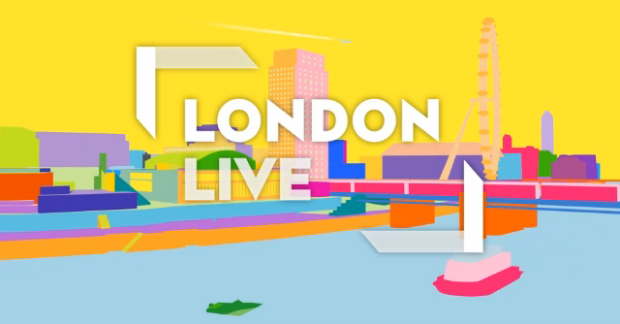 London Live owner ESTV Ltd has been told by Ofcom it can't reduce its local programming commitments. As reported in July, ESTV Ltd had requested to reduce the amount of news it had to show and wanted to downgrade its commitment to hyper-local services, which formed a cornerstone of its original application. The proposals were universally rejected by other broadcasters and failed applicants for the London local TV licence. London 8 Limited indicated that it would seek a judicial review had the proposals been granted. Making their decision, Ofcom's Broadcast Licensing Committee (BLC) said the proposals: "would result in an unacceptable reduction to the number and range of programmes about the area or locality for the Licensed Area. In particular, the BLC was concerned that the proposal to include the wording “Where available will”, would remove the obligation to include hyper-local programming delivered through digital platforms in each of the London boroughs. This had been a particularly important factor in the award of the Licence to ESTV. " Channel 4: "We believe the proposals would lead to a significantly changed service that would be less likely to provide the benefits to viewers that the local TV system was designed and set up to deliver. " Channel 5: "Local television stations were designed as a major innovation, to provide local content which meets the needs of local people and be relevant to their daily lives. If their local obligations are pushed to the fringes of their peaktime TV schedules, which are then filled mostly with the sort of programmes to be found on national channels, then the localness which is their rationale will be critically undermined." UKTV: "The Proposal, if implemented, would confer on ESTV an unfair commercial advantage as it would release ESTV from its programme content obligations whilst allowing it to retain its preferential EPG position, subsidised spectrum costs and unlimited advertising opportunities which were granted to enable the launch of a local service which by its nature has more limited commercial appeal. The Proposal reduces the local content obligations on ESTV to such an extent that they are close to the content requirements of commercial broadcasters who do not benefit from this preferential treatment." YourTV: "We are concerned that the high profile the focused media interest gives London Live, over and above all the other local tv stations, unfairly influences people's views and opinions concerning all local tv, no matter where and how it is broadcasting. ... We would therefore urge Ofcom, in considering this request, to take into consideration the wider implications of any decision to reduce the "local" commitment for London Live and the impact such a judgement could have on local tv as a whole." London8: "If Ofcom grant ESTV's current application, London 8 Limited intend to seek judicial review."